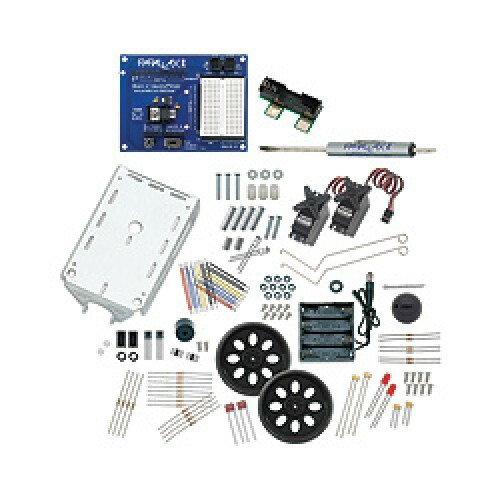 Make your Arduino, the onboard brain of a mobile robot and learn robotics, electronics, and programming with this versatile kit and its accompanying step-by-step lessons. 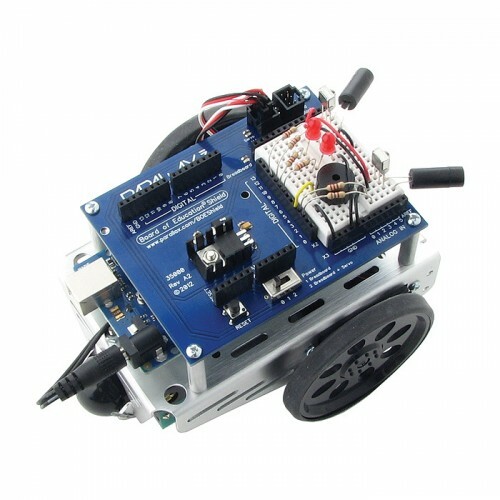 The Board of Education Shield plugs into your own Arduino board (or purchase separately) and mounts on the robot chassis. Note: Your own Arduino Uno, Mega, or Duemilanove Board and programming cable is required; not included.